Cleome rose queen II, a photo by KM Anderson on Flickr. 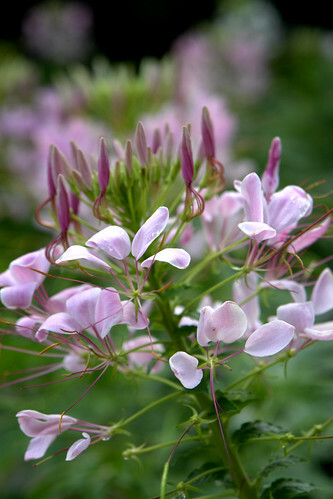 Cleome is one of those gorgeous plants that I can't do. It makes me itch. If I had an abundance of space to work with, I would put a patch of it where I could look at it but not have to go near.